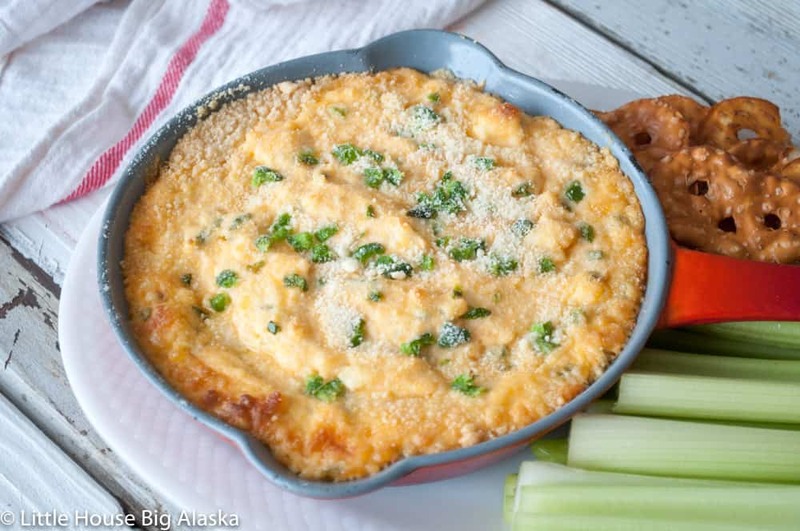 If you LOVE Jalapeño Poppers as much as we do then you’re going to LOVE this easy to make and bake Jalapeño Popper Dip! Perfect for game day or beers and snacks with friends. 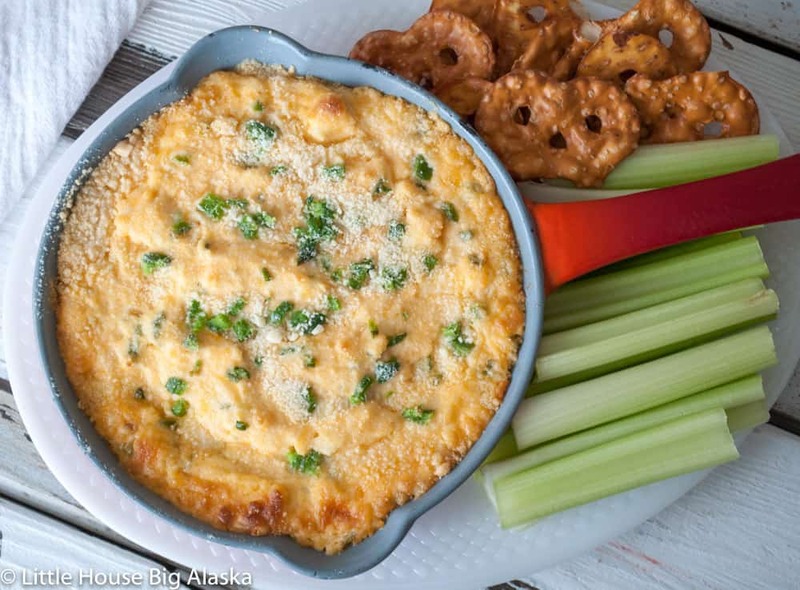 Easy to prep ahead of time and pop in the oven at the last minute for a hot zesty dip everyone will love. My go-to snack making, party pleaser recipe is my very own Oven Baked Jalapeño Poppers. I will make them anytime for just about anything. I love my recipe so much because instead of just mouthful of warm cream cheese there’s actually some substance and flavor to the filling. And they’re baked which is nice when you don’t like to fry things at home. In the summer I’ll toss a batch of my Grilled Jalapeño Poppers on the grill for a twist on my fave go-to party food. Yes, we like them! But sometimes you need a change! WHAT?! It’s true; sometimes you need something different. I decided to mix my recipe up and make it a dip. YES! Jalapeño Popper Dip! Serve it with bread, crackers, or fresh vegetables, and your party is just about perfect. If you plan to make this recipe ahead of time OR split it in two and bake one today and one tomorrow it easy to do. Just make it up through putting it in pans and then cover and refrigerate. Take it out and let it warm up a bit then top with the parmesan and leftover jalapeños and bake. You might find it takes longer to cook completely once it’s been refrigerated. 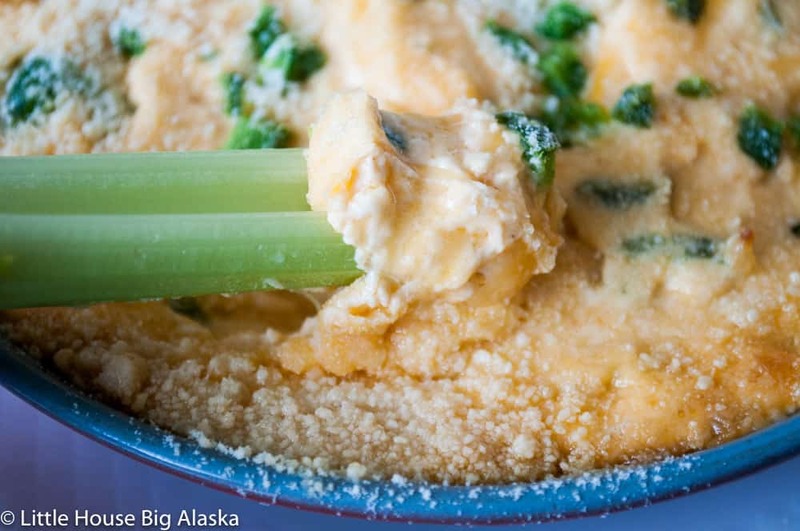 If you LOVE Jalapeño Poppers as much as we do then you’re going to LOVE this easy to make and bake Jalapeño Popper Dip!